A contemporary Mirror with curved mirror surface border matching with Manhattan mirrored furniture collection. Collection includes matching mirror , Coffee table ,Console Table, 3 Drawer Chest and a Tall Chest. 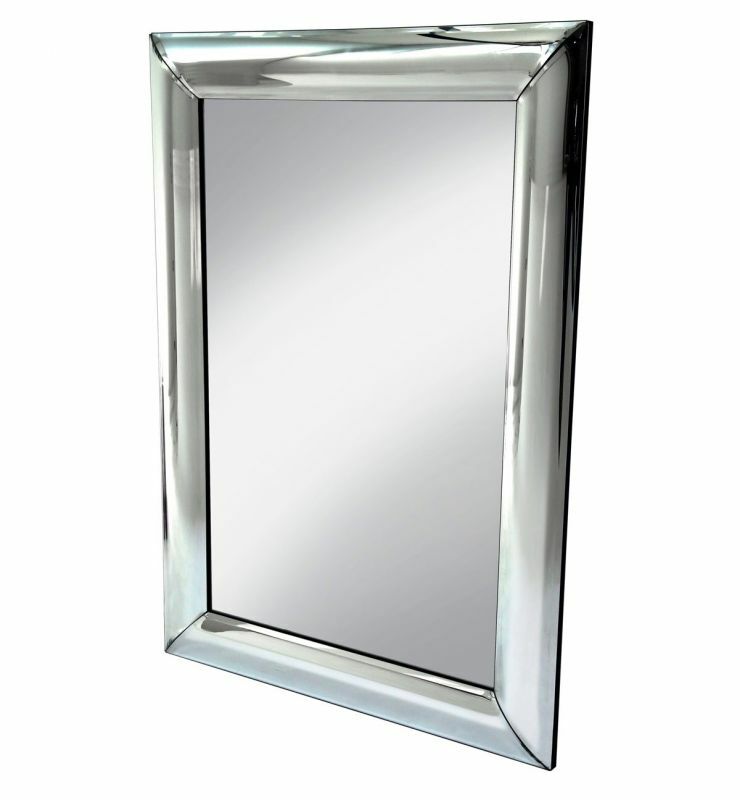 The mirrors are fitted with 4 D ring brackets and can hung either in portrait or landscape. Available in 2 different sizes. Dimensions :LARGE � 80X120 CMS . Colour :Clear /Silver .